Our new property, Hilton Garden Inn Cincinnati Blue Ash, is perfect for business travelers or vacationers in search of a relaxed environment. With over 2,500 square feet of conference space and 103 rooms our hotel can accommodate to any occasion. 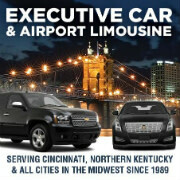 At the Hilton Garden Inn, we offer complimentary shuttle service and wireless Internet. Whether you're staying for a convention, a business meeting or leisure travel, the newly renovated Comfort Inn Hotel in Blue Ash, Ohio, offers you free WiFi, business center, fitness center, indoor heated pool and free hot breakfast! 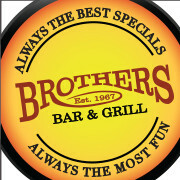 Family-friendly atmosphere, as well as quiet rooms for business travelers. Just 12 miles northeast of Cincinnati. Close to the corporate offices of P&G and Coca-Cola and attractions like Kings Island, The Beach Water Park, Ault Park and the Cincinnati Dinner Train. Explore Cincinnati with an experienced local guide who can't wait to share their great love of the city they call home! 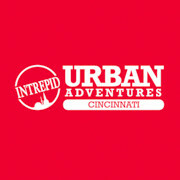 Our "Nati in a Nutshell" tour, crams all of Cincinnati into one big adventure! Explore the city's natural riverfront beauty and amazing architecture while learning about its rich and diverse history. Throw in a streetcar ride, a visit to the local farmers market, views from way up high, and a few of Cincinnati’s favorite foods & you’re sure to have the Best. Day. Ever. We also have a craft beer & BBQ tour, a wine & food tasting tour, an Over-the-Rhine tour, and a tour that includes Covington, Kentucky. Private and group tours available. We also provide Step-on-Guides. A professional destination management corporation. Services include: sight-seeing tours, receptions, banquets, theme parties, hospitality programs, décor, entertainment; city-wide transportation/shuttles. One of the first things visitors notice when arriving in the Village of Mariemont is its tree-lined streets, Tudor-style buildings, and historic charm. Designated as a National Historic Landmark community in 2007, Mariemont will remind visitors of the quaint English garden neighborhood from which it was modeled. Located just 15 minutes from downtown Cincinnati, visitors to the Village of Mariemont will find some of the most unique shops in the Greater Cincinnati area ranging from gift shops to clothing stores to services like the Framers Guild framing shop. No trip to Mariemont would be complete without a visit to Graeter’s Ice Cream Shop.